With the Israeli spacecraft's crash, the country nearly missed becoming the fourth in the list of nations to have landed on the surface of the moon. 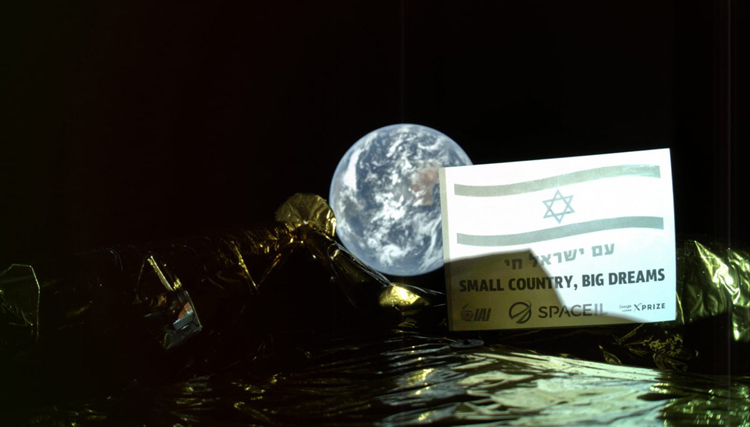 The picture taken by Beresheet at an altitude of 13 miles (22 km) with the moon in the background just before the landing. The selfie has gone viral. A joint venture between a privately funded Israeli non-profit organisation, SpaceIL and Israel Aerospace Industries, the spacecraft pursued a soft landing on moon's surface but faced technical difficulties towards the near landing with apparent failure of the main engine. 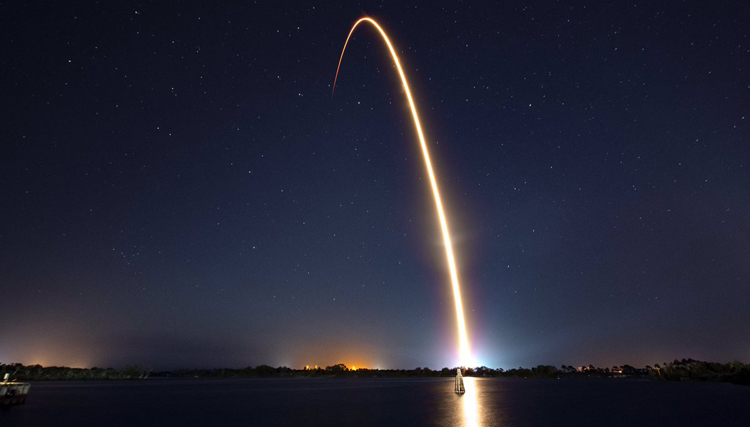 Scheduled for landing on Thursday, April 11 Beresheet, meaning "in the beginning" or "Genesis" in Hebrew, was launched on February 21 from Cape Canaveral Air Force Station in Florida, U.S. on a SpaceX Falcon 9 rocket along with a communications satellite and an experimental aircraft. As the 330-pound robotic Lander made its descent, its main engine failed in the last part of it. While the engineers managed to restart the engine, it lost all communications soon after and eventually crashed. After the long journey of nearly two-months, the spacecraft was on track to meet its goal of softly landing within Mare Serennitatis (in Latin), also called the Sea of Serenity, a vast volcanic basin, until it faltered during the last part of the journey when it's main engine failed and all communications were lost. This northeastern section of the lava plain was chosen mainly because it is mostly flat with only a few craters. In 1972, the National Aeronautics and Space Administration (NASA)'s Apollo 17 astronauts had also landed near this area. 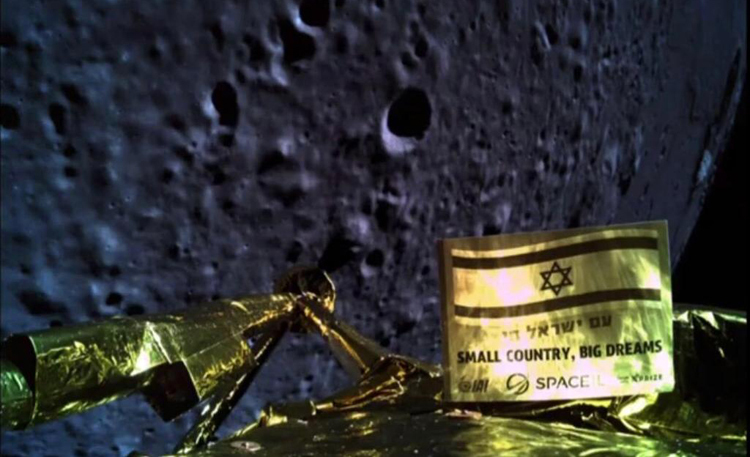 Having completed a lunar capture on April 4, Beresheet was successfully situated in an elliptical orbit around the Moon. While most of the space missions to the moon take a few days to reach; it took weeks for Beresheet since it had to take a more elaborative route through a series of expanding orbits around the Earth before reaching into the lunar orbit. The spacecraft travelled almost 15 times the average distance to the moon which is 380,000 km (240,000 miles). This was mainly owing to the mission's cost. To save the launch cost, instead of launching on a rocket solely, Beresheet launched off along with a communication satellite and an experimental aircraft. Going by the space terms, the Moon is like a jump away from the Earth. While most of the space missions to the moon take a few days to reach, it took weeks for Beresheet since it had to take a more elaborative route through a series of expanding orbits around the Earth before reaching into the lunar orbit. The spacecraft travelled almost 15 times the average distance to the moon which is 380,000 km (240,000 miles). This was mainly owing to the mission's cost. To save the launch cost, instead of launching on a rocket solely, Beresheet launched off along with a communication satellite and an experimental aircraft. The Lander was also carrying a digital time capsule comprising of a "lunar library" and two scientific instruments. A navigation device was also launched on Beresheet by NASA, to observe the location details of the moon's surface which could be used by future Landers for navigation. 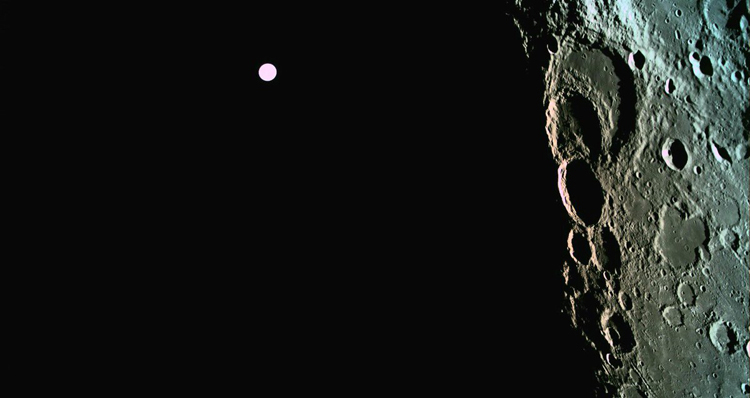 During the critical maneuver in lunar orbit, Beresheet took a pictures of the far side of the Moon with Earth in the background. Beresheet was carrying a NASA instrument called a laser retro reflector array, which was smaller than a computer mouse and featured eight mirrors made of quartz cube corners set in an aluminum frame which would allow the device to reflect light coming from any direction back to its source, NASA informed in its statement about Beresheet. In addition to providing access to the agency's Deep Space Network to aid in communication during the mission, NASA was a partner in SpaceIL's Beresheet mission. 'The landing attempt comes on the heels of the agency's own charge from the president to accelerate its plans to send astronauts to the surface of the Moon by 2024,' the space agency added. The biggest challenge for the spacecraft was a controlled landing. The British-built engine gave the spacecraft the apt power to reach all the way to the Moon but at the cost of its final descent. The spacecraft was required to rapidly reduce its speed, so the final firing knocked on the brakes, in the hope of making the spacecraft gently stop. It took around 20 minutes for the landing process. Prior to the landing, a senior official from the British company that made the engine said, "The big challenge would be the fact that the engine is going to have to be switched on and get very hot, then switched off for a short period of time when all that heat is remaining in its thermal mass, and then fired up again, very accurately and very precisely such that it slows the craft down and lands very softly on the surface on the Moon." The aim of the mission that had a cost of about $100 million (which is way less than the government-sponsored spacecrafts) and consisted of over eight years of work, was to take some pictures using its high resolution cameras and then measure the magnetic field of the area it landed in. Among the other pictures decided, Beresheet also had to take a selfie which it did take at an altitude of 13 miles prior to the crash. Successful or not, Beresheet certainly captured some amazing pictures, attention and excitement of people from Israel and around the world. Israel Prime Minister, Benjamin Netanyahu said, "If at first you don't succeed, you try again." He attended the event at the mission's command center in Yehud, Israel where around 2500 people also witnessed the landing while seated in a lawn outside the command center. At a distance of 37,600 km from Earth, Beresheet's selfie camera took a picture of Earth during a slow spin of the spacecraft. If the soft landing was successful, Israel would have become the fourth country to land on the moon's surface. Only three nations have that feather added to their hat till now. The first soft landing was in 1966 by Luna 9, the former Soviet Union's spacecraft. Post this, NASA managed to get humans to the moon in 1969 in its spaceflight, Apollo 11. The third spacecraft to touch lunar surface was China's Change-4 spacecraft earlier this year. The first soft landing was in 1966 by Luna 9, the former Soviet Union's spacecraft. Post this, NASA managed to get humans to the moon in 1969 in its spaceflight, Apollo 11. The third spacecraft to touch lunar surface was China's Change-4 spacecraft earlier this year. But the mission is still being looked at as a success in its own unique manner by the world. Beresheet is the closest a private spacecraft has gone to land on the lunar surface. Until now, only government space agencies have made successful moon landings. Not just that, when the Israeli spacecraft entered the lunar orbit on April 4, it became the seventh country in the world to have done that. The United States, the former Soviet Union, China, Japan, India and the European Space Agency have earlier accomplished this. "We didn't make it, but we definitely tried, and I think the achievement of getting to where we got is pretty tremendous," Morris Kahn, SpaceIL's primary founder and president, said during a live stream of the mission. "I think we can be proud ... you win some, you lose some." NASA Administrator Jim Bridenstine released the following statement on the Beresheet lunar Lander, "While NASA regrets the end of the SpaceIL mission without a successful lunar landing of the Beresheet Lander, and we congratulate SpaceIL, the Israel Aerospace Industries and the state of Israel on the incredible accomplishment of sending the first privately funded mission into lunar orbit. Every attempt to reach new milestones holds opportunities for us to learn adjust and progress. I have no doubt that Israel and SpaceIL will continue to explore and I look forward to celebrating their future achievements." Beresheet is the closest a private spacecraft has gone to land on the lunar surface. Until now, only government space agencies have made successful moon landings. Not just that, when the Israeli spacecraft entered the lunar orbit on April 4, it became the seventh country in the world to have done that. Established in 2011, SpaceIL is a non-profit organization aiming to land the first Israeli spacecraft on the Moon. The organization was founded by three young engineers: Yariv Bash, Kfir Damari and Yonatan Winetraub who answered the international challenge presented by Google Lunar XPRIZE: to build, launch and land an unmanned spacecraft on the Moon. While the winner was to win $20 Million, the global contest founded in 2017 ended in 2018 after several extended deadlines and no winner. However, the first finalist of the competition, SpaceIL, would still receive $1 Million. Xprize founder, Peter Diamandis said on social media, "XPRIZE to award $1 Million Moonshot Award to SpaceIL team for them to continue their work and pursue Beresheet 2.0. Space is hard!!! 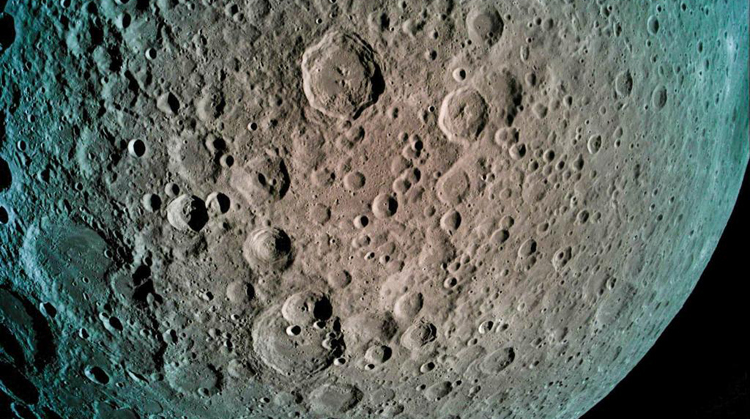 The failure of Beresheet's lunar surface landing has allowed India to have a chance on being the fourth country to land its spacecraft on moon's surface. India's second mission to moon, Chandrayaan-2 has been facing a series of delay since last year and had suffered damage in the legs of its Lander earlier this month that caused the further delay.